Paleo Power To Help You Drop LBS Right Now! The paleo diet has become very popular over the past several years, gaining a huge following for its emphasis on eating healthy, whole foods and avoiding processed and ‘unnatural’ products. A simple way to explain the paleo diet or the ‘caveman‘ diet, is that it is based on the notion, that for optimal health and performance, we should be eating the way that cavemen would have eaten. Eating ‘paleo’ means only eating items that they would have had available, such as meat, fish, berries, nuts, leafy greens and regional vegetables. We explain more about the paleo diet in this paleo related article: 50 Paleo Weight Loss Recipes To Help You Look And Feel Amazing! Here is a full Two Week Paleo Meal Plan full of delicious, healthy, natural meals and recipes to help you lose weight and get fit. Breakfast, Lunch and Dinner for all 14 days. If you are already eating a Paleo based diet, these recipes can help spice up your weekly meals. 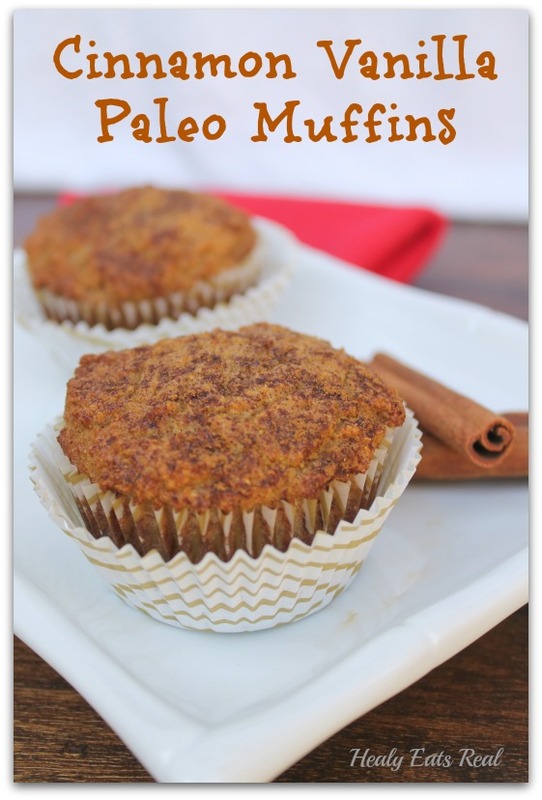 With 42 different paleo recipes, there will be something for everyone! Be sure to do your own research and see if the paleo diet and a meal plan like this is for you. Even trying several of the meals to see if some of them can fit in your regular diet. Enjoy! 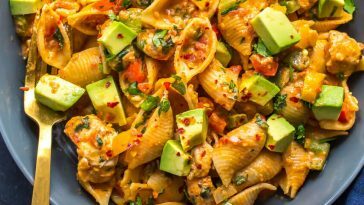 [Update] After several great comments and observations from our readers, some of these recipes had been found to have one or two non paleo ingredients, so we have swapped out some of the original recipes and replaced them with some more, true paleo meals. Thank you for those who pointed out our mistakes and we want to continue this and keep making all our meal plans the best they can be! 2 Week Healthy Eating Paleo Meal Plan That Will Help You Lose Fat! 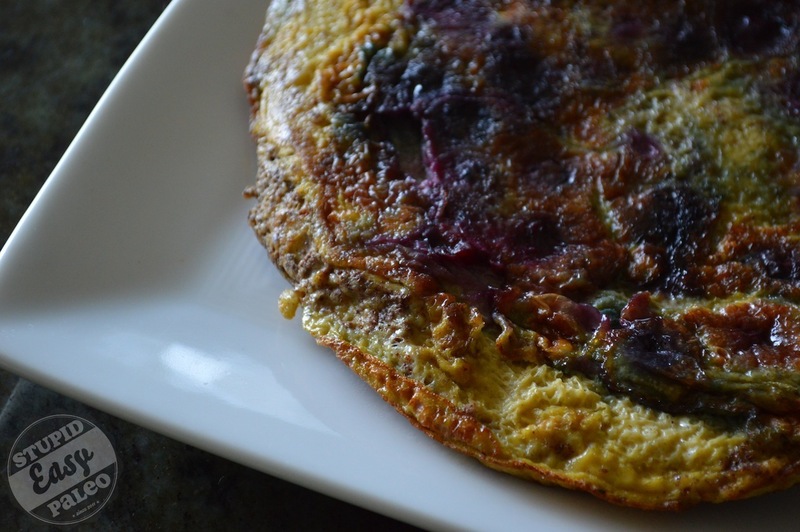 Sweet & Savoury Blueberry Tortilla From StupidEasyPaleo. This is a fruity take on the classic tortilla with super fruit blueberries for extra nutrition. 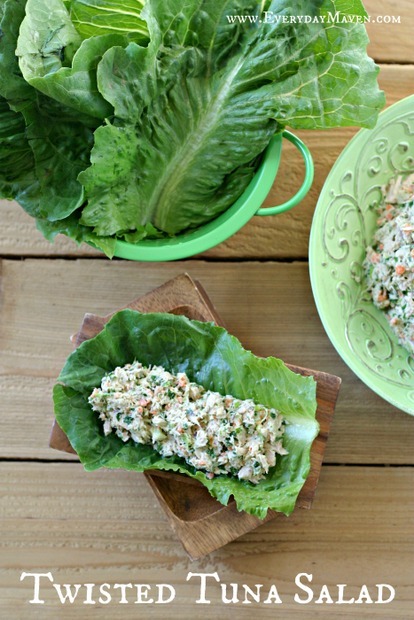 Chicken Salad Wraps From BravoForPaleo. 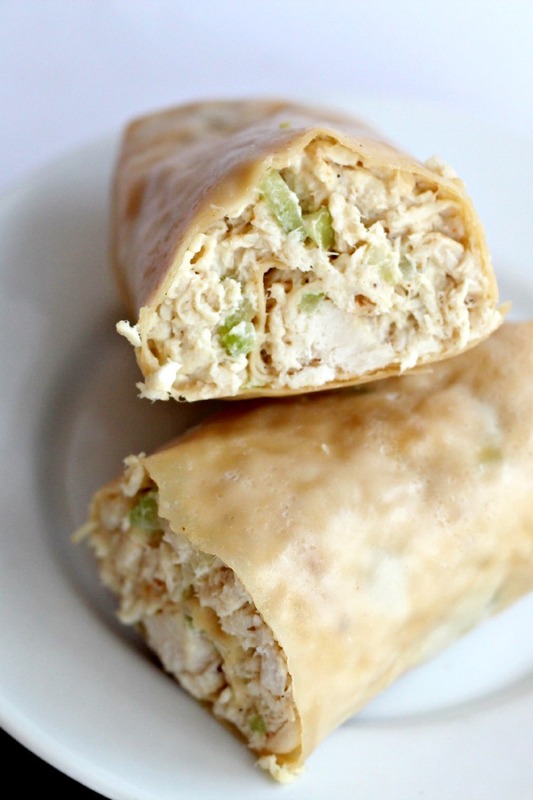 These chicken wraps are easy to make and perfect for lunch on the go. One Pan Tuscan Pork Chops From SweetCsDesigns. A delicious sharing meal with plenty of spice and flavour. Cooking everything in one pot saves on washing up too! 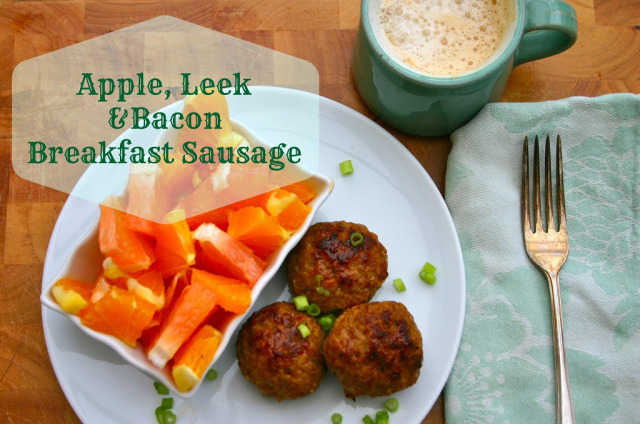 Apple, Leek & Bacon Breakfast Sausages From AndHereWeAre. These sausages are packed with protein and herbs. Make them in advance and keep them in the freezer for a quick and tasty weekday breakfast. 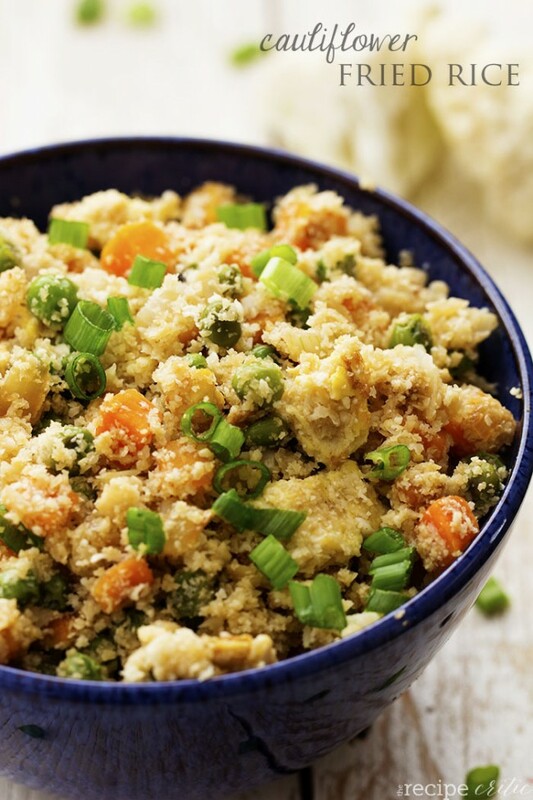 Cauliflower Fried Rice From TheRecipeCritic. Looks and tastes just like the real thing but without all the unnecessary carbs! This is an ideal dish for dieters who are missing their rice. A spicy comforting dinner made lighter. Throw in any leftover cauliflower rice for a fantastic meal. 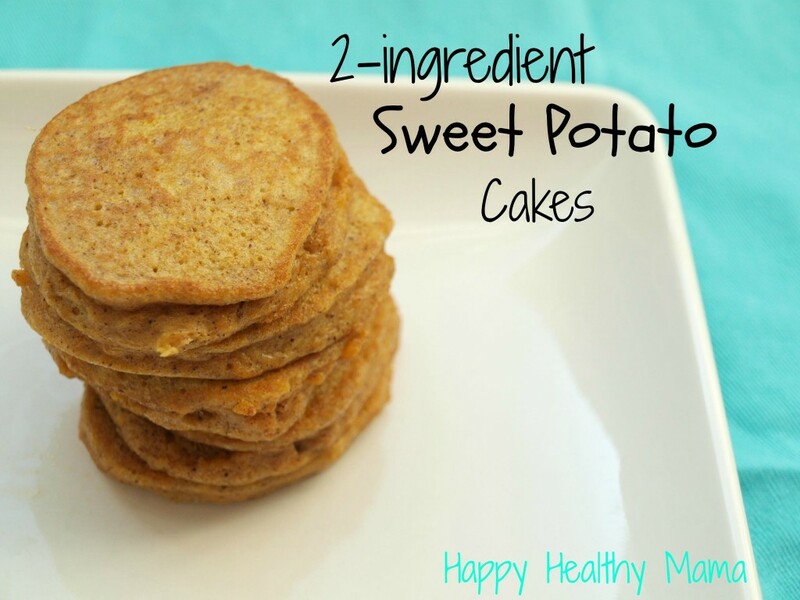 2-Ingredient Sweet Potato Pancakes From HappyHealthyMama. These pancakes are gluten-free, dairy-free and really easy to make. Twisted Tuna Salad From EverydayMaven. This tuna salad recipe is truly delicious – whether you eat it on its own or in a sandwich or wrap, you will definitely feel satisfied. 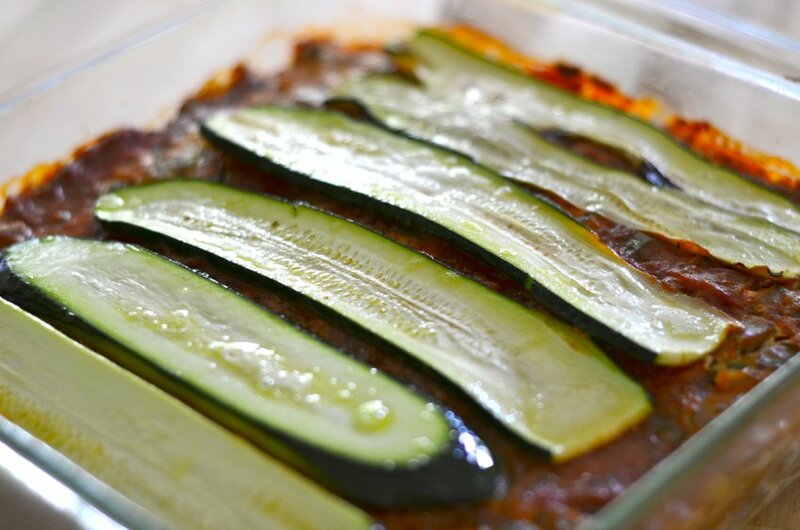 Replacing pasta with zucchini (or courgette) in this recipe makes for a tasty, paleo-friendly dinner. 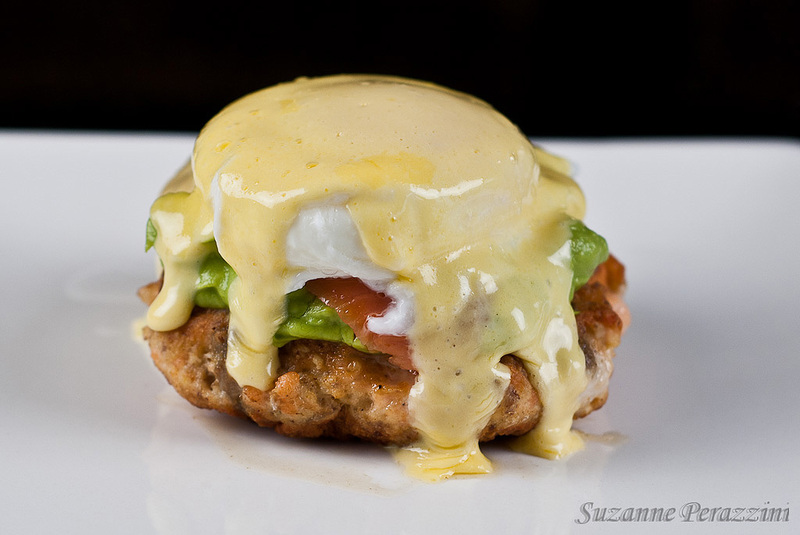 Salmon Eggs Benedict From StrandsOfMyLife. This rich and zesty breakfast provides a hit of Omega 3 and is high in protein. 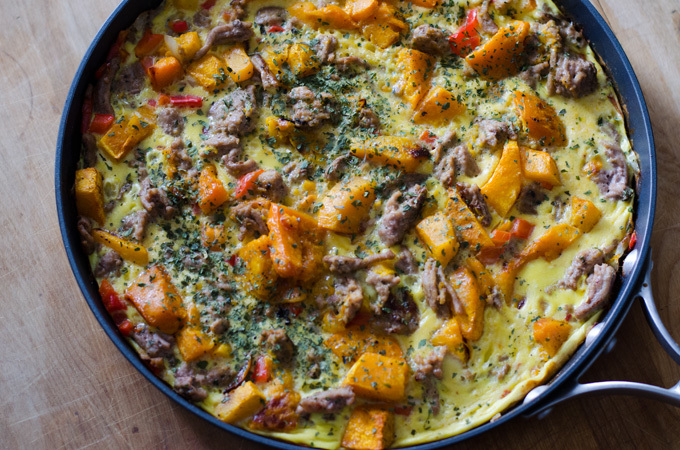 Sausage & Butternut Squash Frittata From CookEatPaleo. This frittata is perfect for a group lunch or dinner. Add extra veg for an even heartier meal. 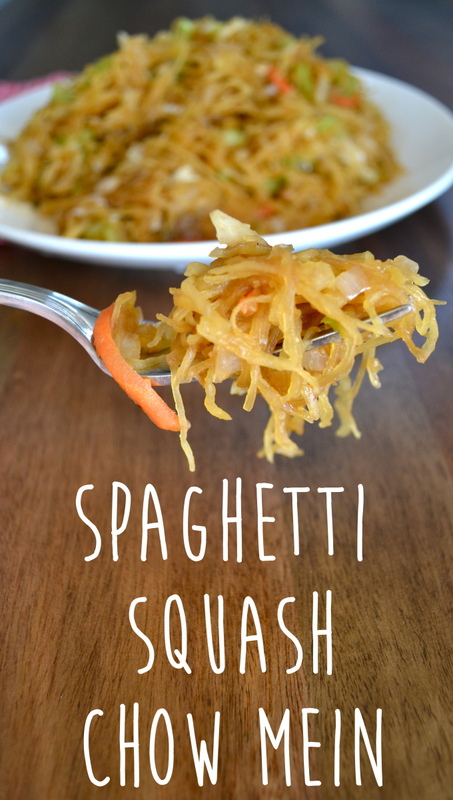 Spaghetti Squash Chow Mein From LittleBitsOf. 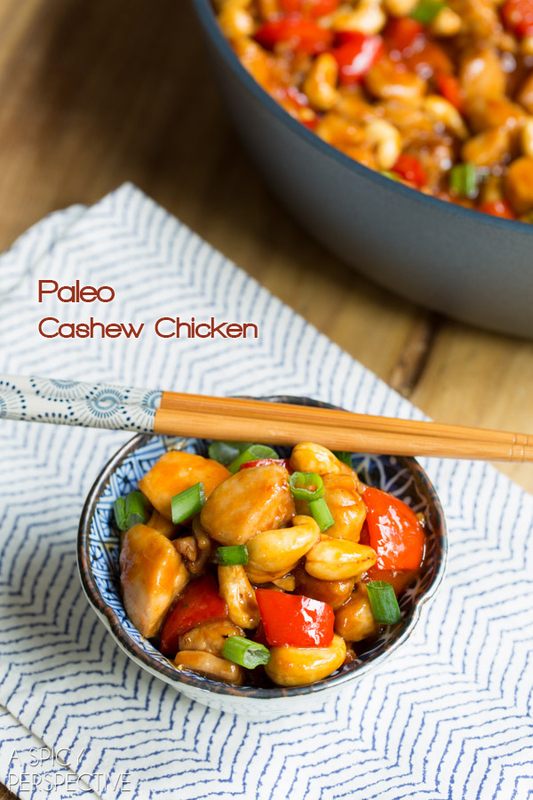 This is a perfect meal if you are in the mood for Chinese food but still want to stick to the Paleo diet. It tastes so good you’ll wonder why you ever needed the real thing! 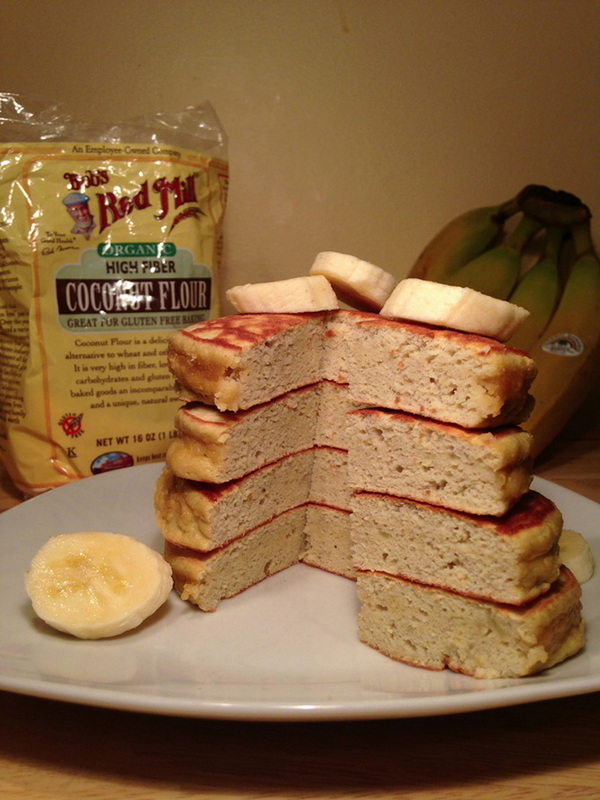 Paleo Bacon Pancakes From TheFitBaldMan. The coconut in these pancakes gives them a fresh and tasty flavour. Make a batch and keep some in the fridge for an afternoon snack. Lamb & Eggplant Soup From PaleoPorn. An unusual combination but full of flavour and goodness! This recipe takes a little longer than others so this is best prepared the night before. Moroccan-Style Slow Cooked Lamb From EconomiesOfKale. Use any leftover lamb from lunch to make this juicy Moroccan dish – play around with spices to suit your tastes. 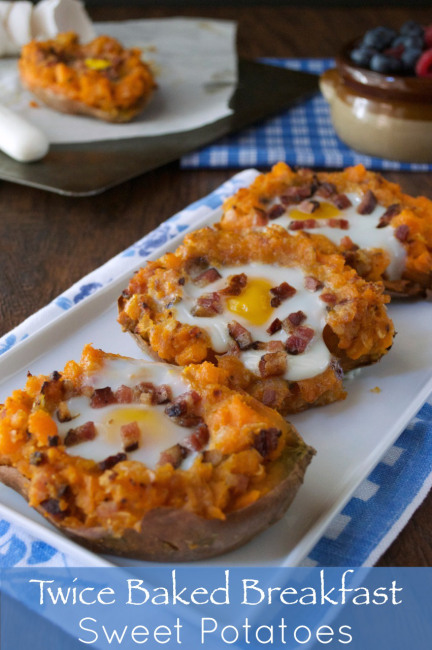 Twice-Baked Sweet Potatoes From PlaidAndPaleo. This incredible breakfast recipe is perfect for those lazy Saturday mornings. Sweet potato and bacon makes for a beautiful combination. Pesto Egg Salad Wraps From TheCleanPlateChef. 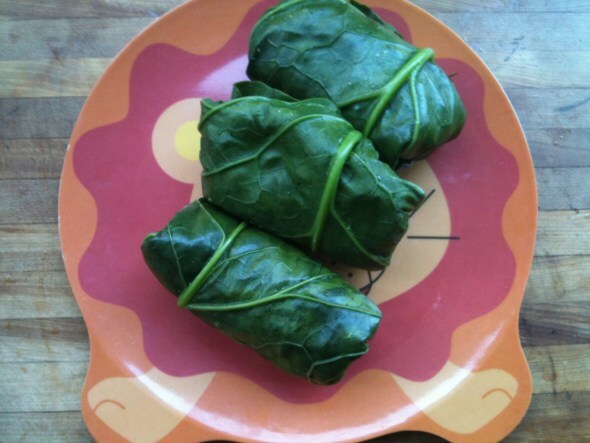 These wraps make grain-free and low-carb lunches which don’t require much effort. If you aren’t a fan of pesto, swap it out for mayonnaise. 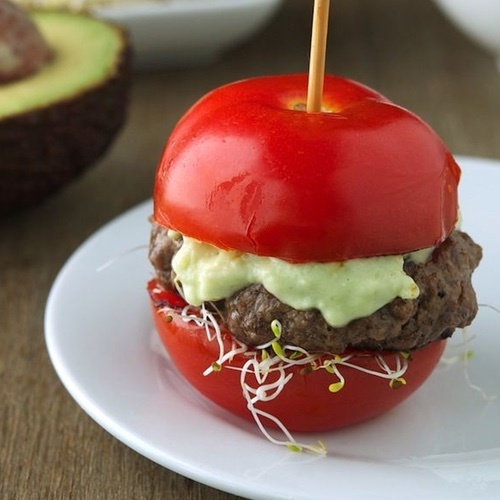 Tomato & Avocado Burgers From TheIronYou. This recipe offers a great way of having burgers without the bread. Paleo Fry Up From ModernPaleoWarfare. 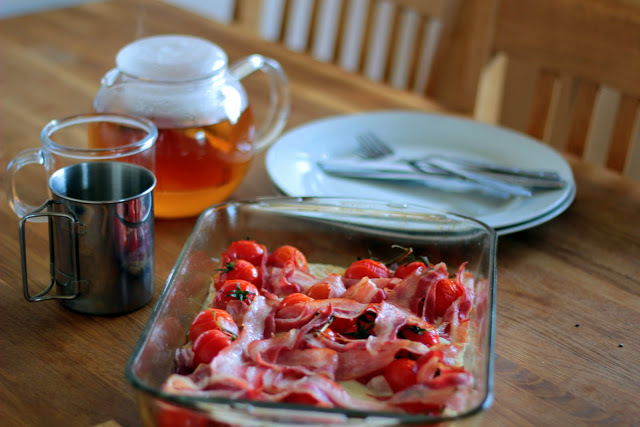 The classic fry up recreated as a traybake – absolutely delicious! Grilled Veggie & Chicken Salad From LexisCleanKitchen. A perfect lunch for the spring & summer months, this fresh salad is loaded with goodness and a gorgeous vinaigrette dressing. This dinner is great for showing off to friends and family – although the recipe is fairly easy, the results are truly stunning. Cinnamon Vanilla Muffins From HealyEatsReal. These cinnamon muffins are ideal for busy workday mornings – prepare the night before for a tasty breakfast which can be eaten on the go. Super easy and quick this is the perfect, healthy and delicious lunch! 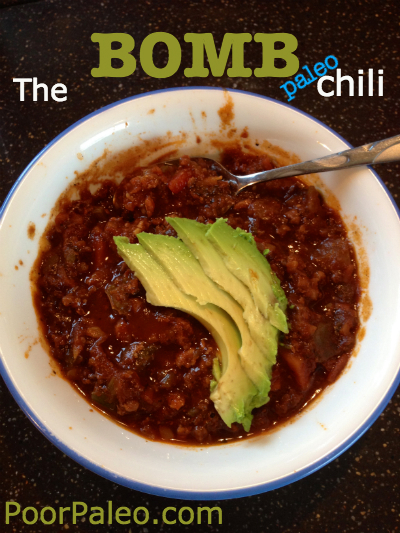 The Bomb Chili From PoorPaleo. A great sharing meal with plenty of veggies, this chili is sure to satisfy even the hungriest family member! A customisable, low-fat smoothie packed full of fruit – what’s not to love? 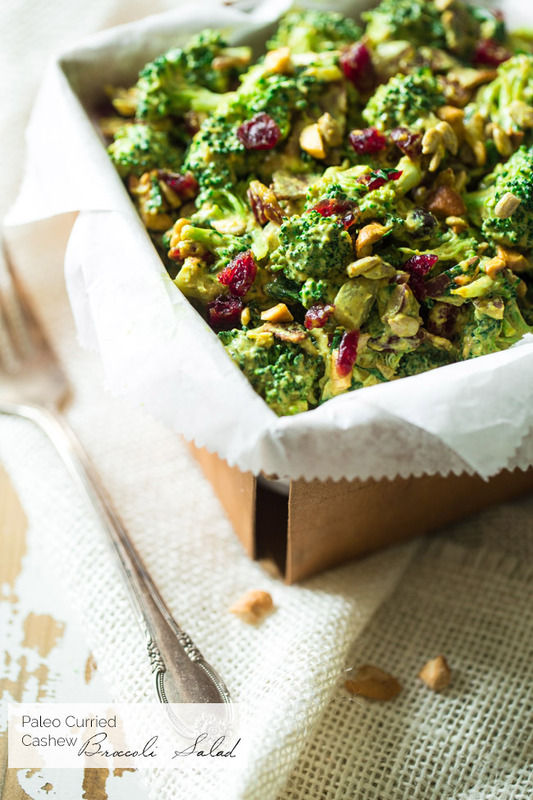 Broccoli Salad with Cashew Cream From WholeYum. This healthy broccoli salad is jazzed up with a curried cream sauce and tastes even better if left to marinade. 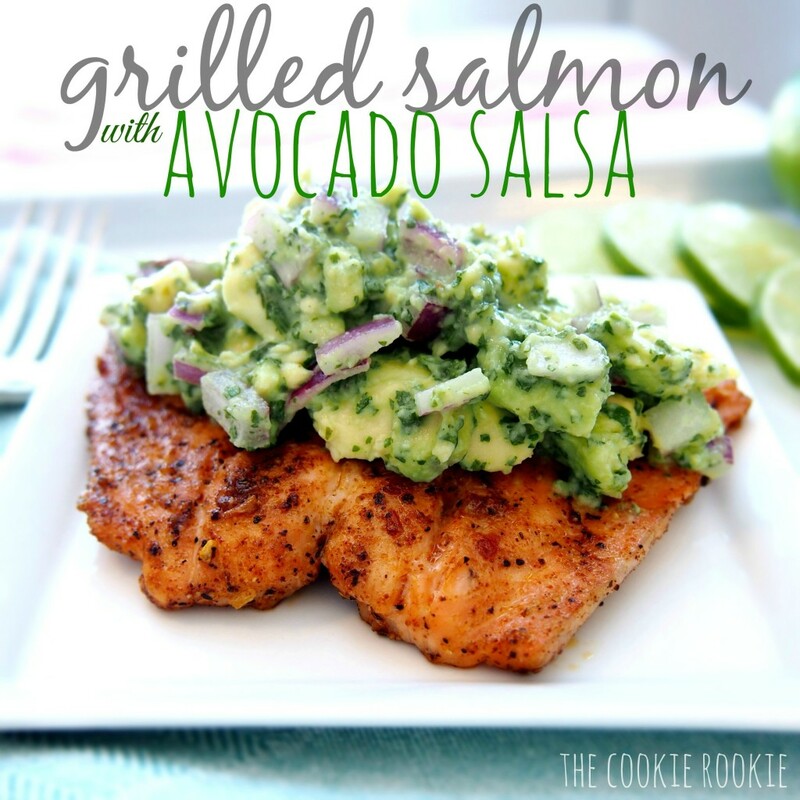 Grilled Salmon with Avocado Salsa From TheCookieRookie. A visually beautiful dish that tastes just as good as it looks. 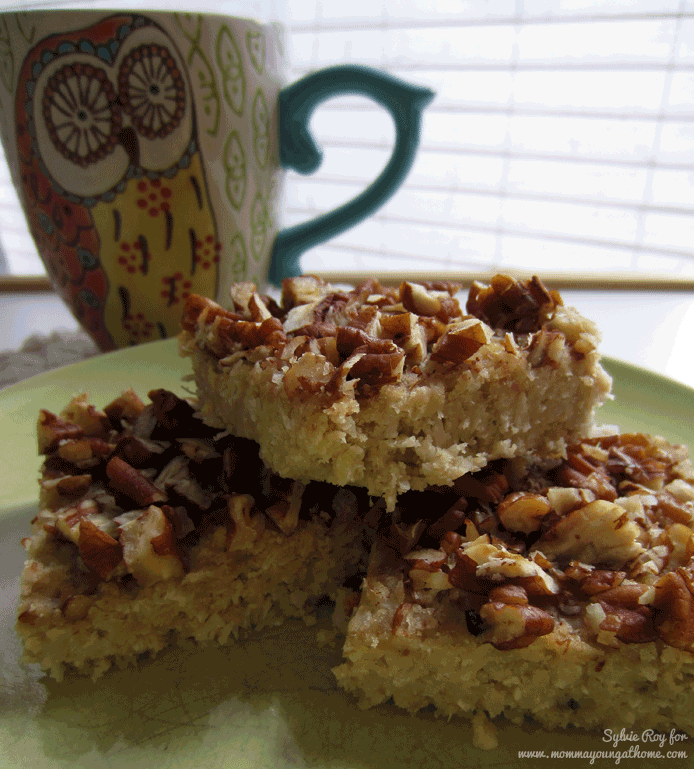 Coconut Pecan Breakfast Bars From MommaYoungAtHome. These delicious breakfast bars can be frozen and brought out whenever they are needed. Have them as a quick breakfast or an afternoon snack. 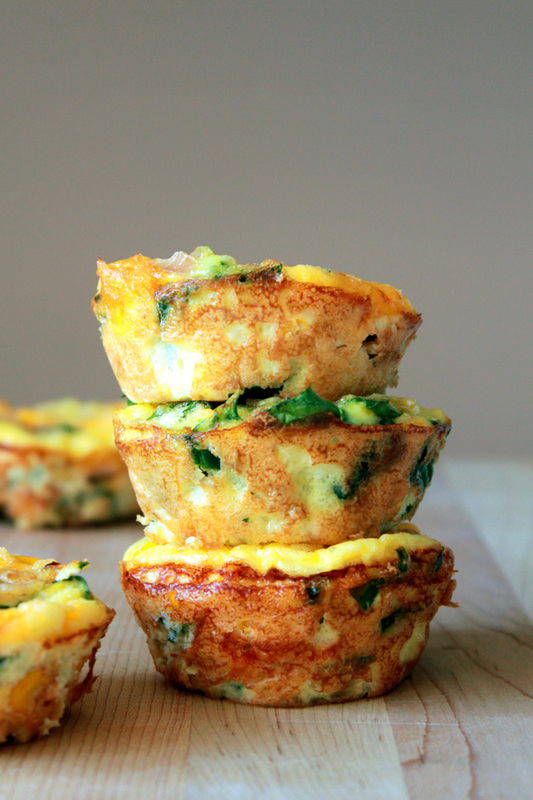 Mini frittatas are ideal for lunchboxes and have plenty of good stuff in them, including spinach and corn. 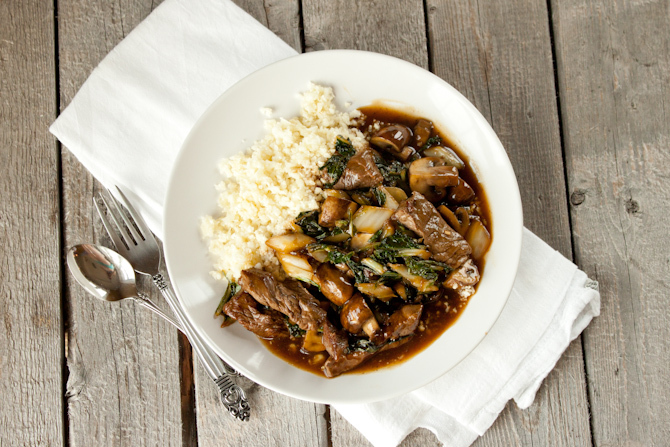 Beef & Bok Choy Stir Fry From SimpleRootsWellness. 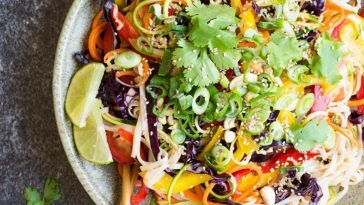 This tasty stir fry is grain-free and can all be cooked in one pan to save on the washing up! 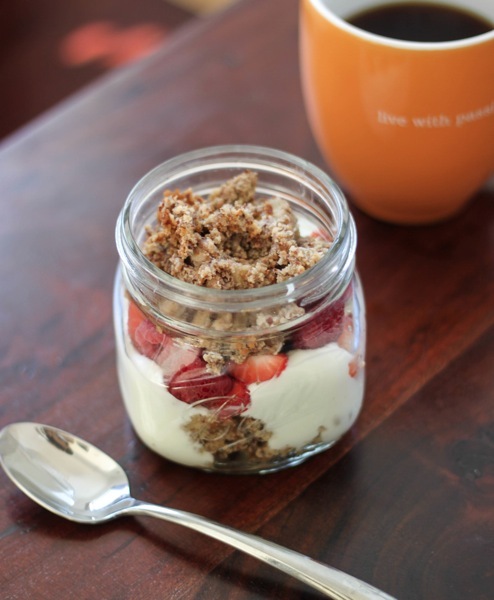 A healthy breakfast you can take with you on the go and only 4 ingredients! Simple and Delicious! 32. Thursday Lunch: Spicy Tuna & Tomato Paleo Burgers! 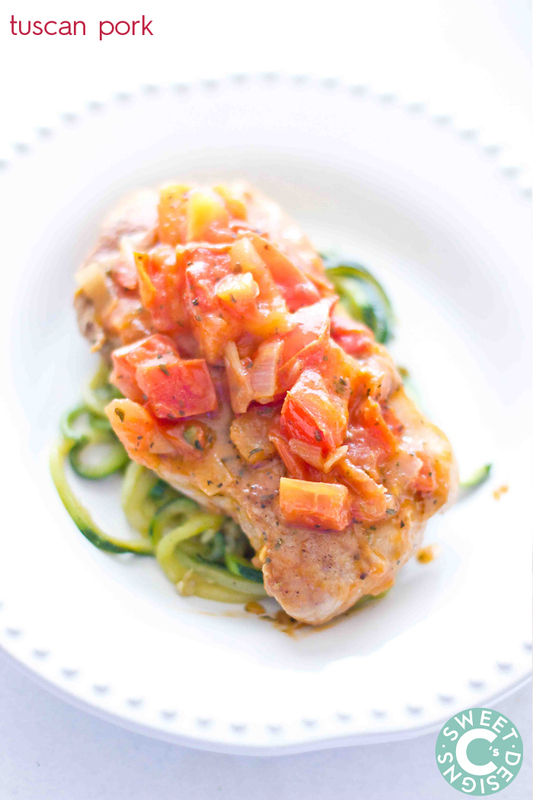 This recipe is healthy, it’s cheap, it’s packed with protein and it’s just so versatile! 33. 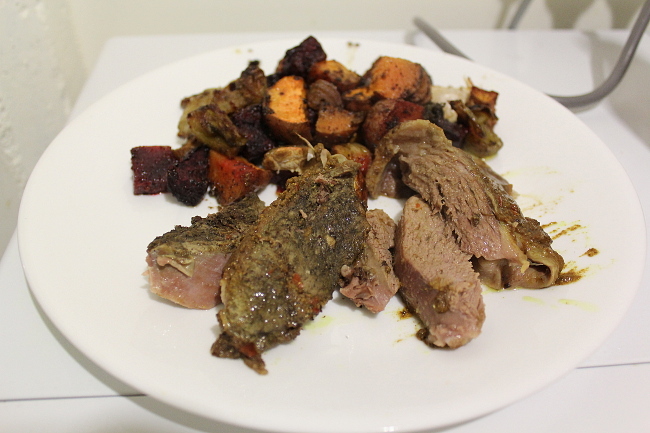 Thursday Dinner: Paleo Pulled Pork! 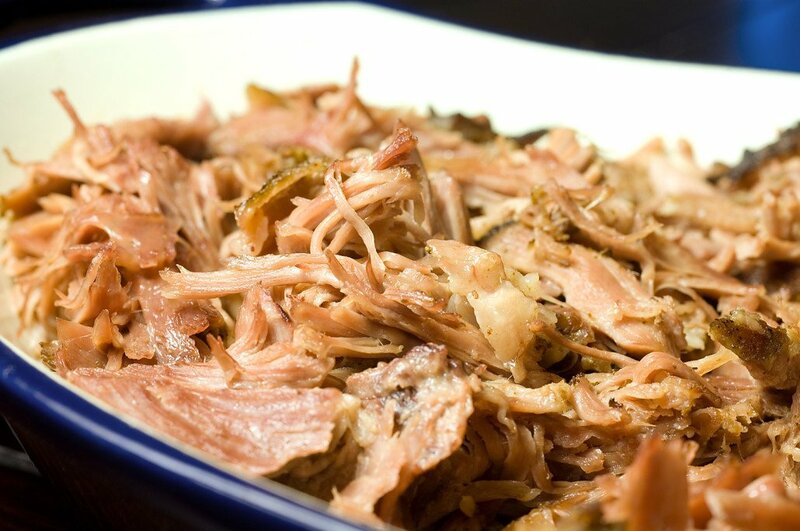 An incredible pulled pork recipe that uses the loin instead the shoulder! Go on, enjoy the meaty, juicy goodness of pulled pork without the guilt. 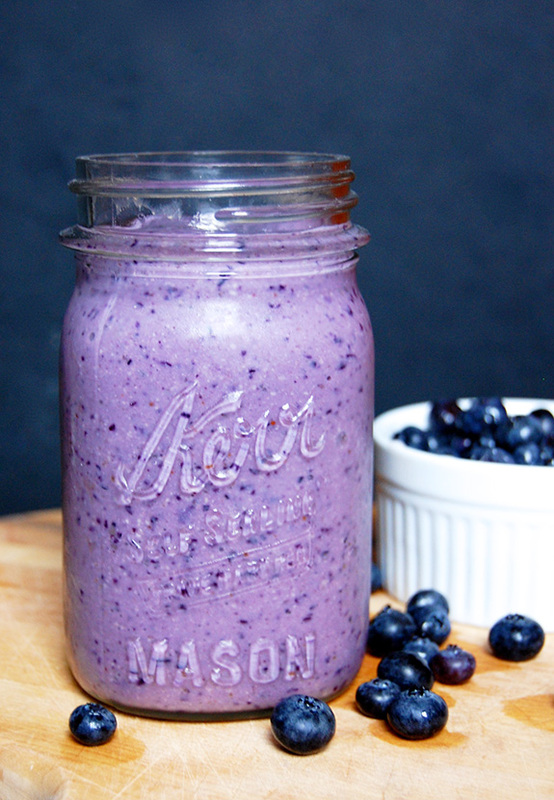 Immune Boosting Blueberry Smoothie From PaleoGrubs. Feeling worn out at the end of the week? 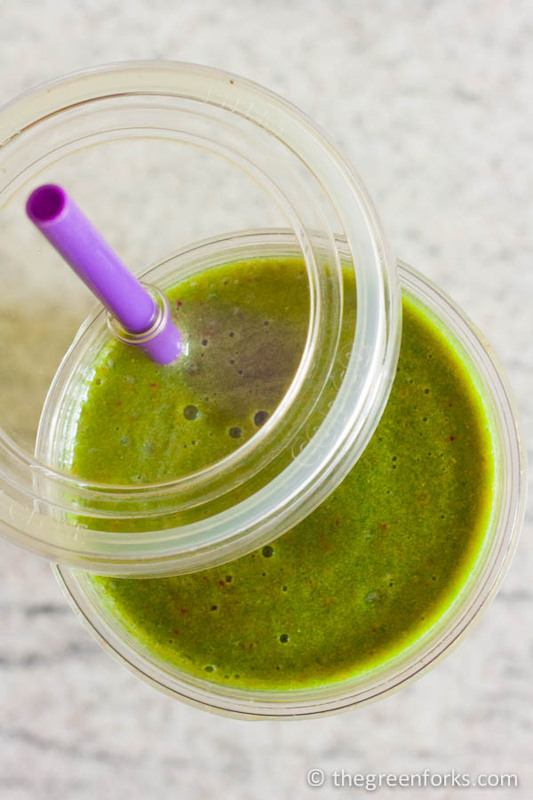 This blueberry smoothie will keep you going! 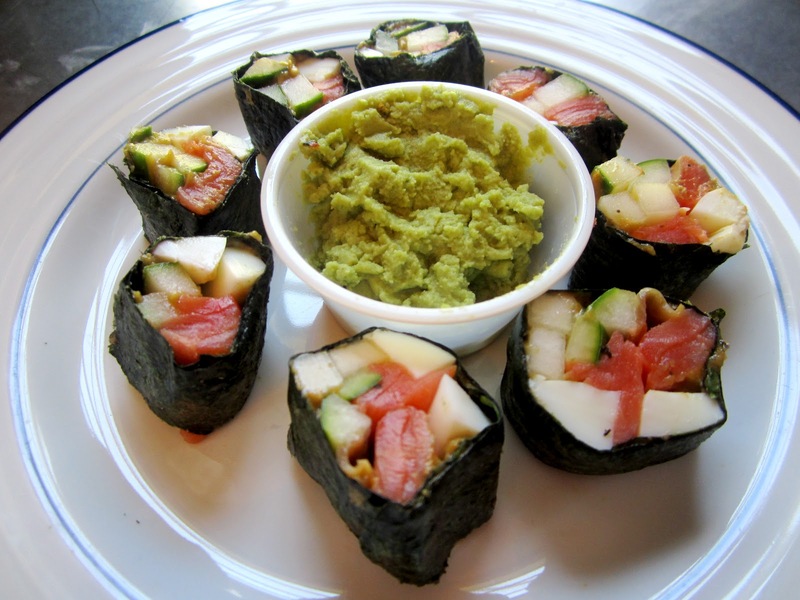 Sushi is fast becoming one of the most popular lunch choices – get your fishy fix using this paleo recipe. A delicious, fresh curry recipe with chicken, tomatoes and green beans with a simple yet complex-tasting blend of spices. Banana Bread Parfait From Fitnessista. This grain-free banana bread parfait is great with honey and extra fruit. 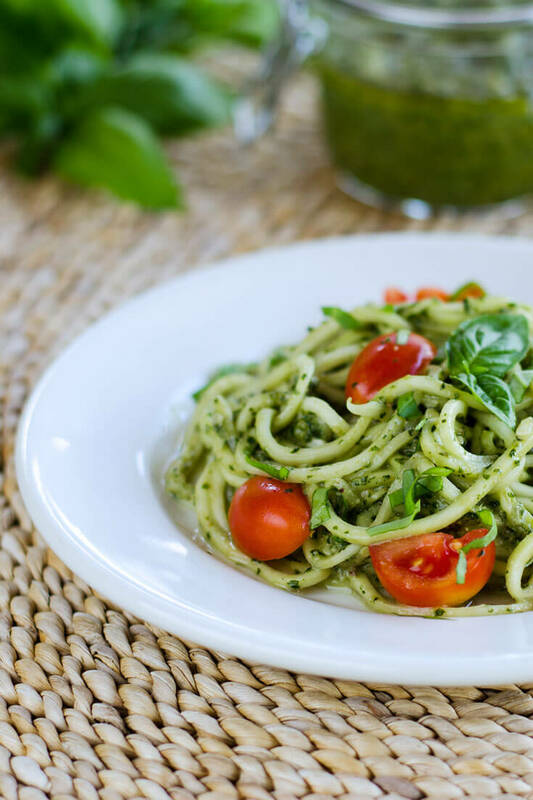 With fresh basil pesto, homegrown zucchini and tomatoes, this easy zucchini pasta recipe is paleo, gluten-free, and dairy-free. 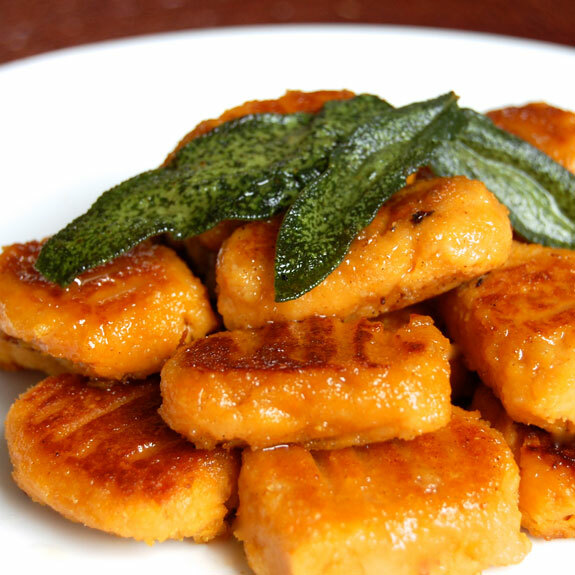 Sweet Potato Gnocchi From PaleoGrubs. Although this gnocchi is a little tricky to make, it is well worth the effort! 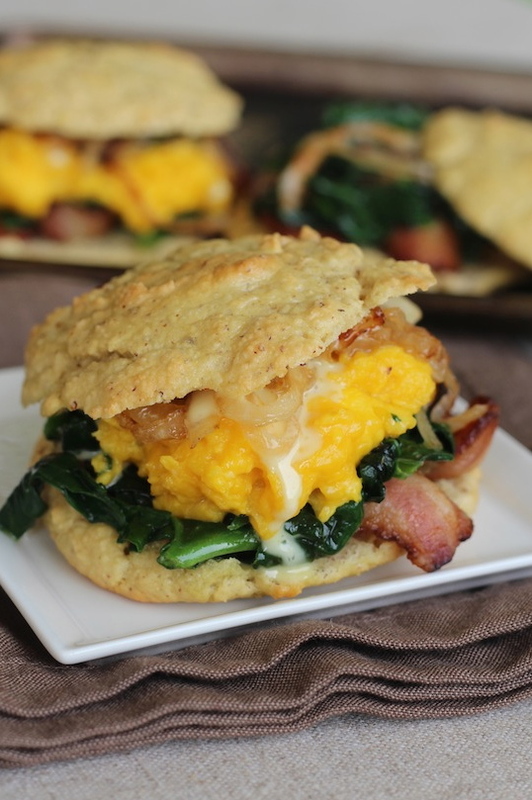 Breakfast Biscuit Sandwiches From PaleOMG. These yummy breakfast sandwiches are sure to keep you filled up for the rest of the day. They can be easily adapted to suit any diet. 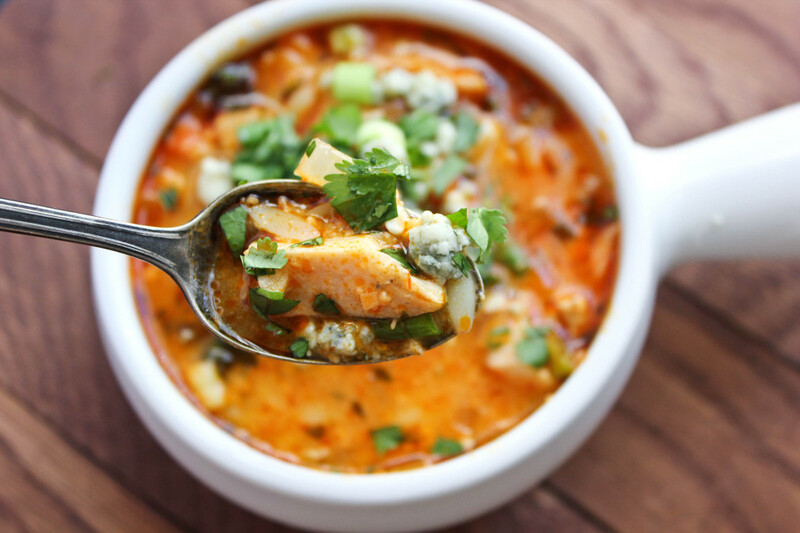 Paleo Buffalo Chicken Soup From RareCrossFit. 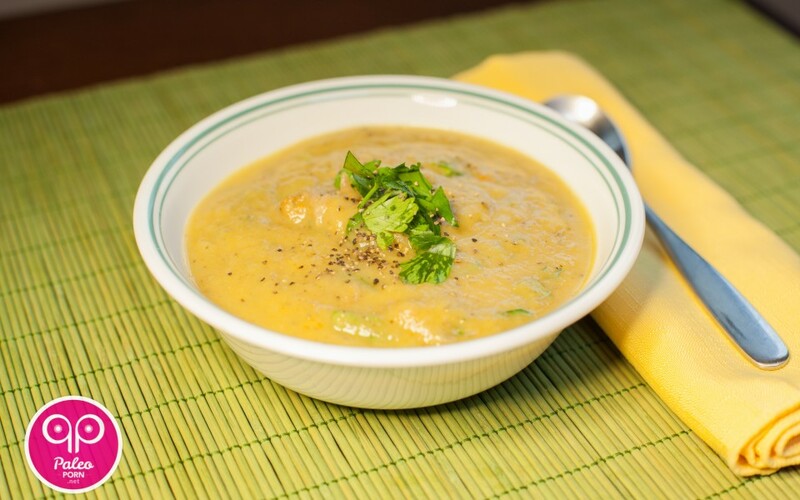 After a filling breakfast, this light, fresh chicken soup is a perfect follow-up. Shrimp & Asparagus Stir Fry From HomeCookingMemories. 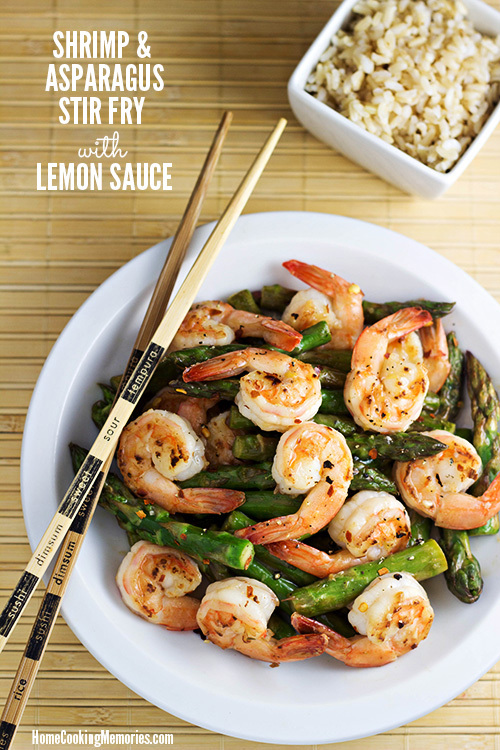 The lemon sauce in this stir fry enhances the flavours of the shrimp and asparagus wonderfully. Previous article 20 HIIT Weight Loss Workouts That Will Shrink Belly Fat! 19 Yoga Routines That Will Stretch Your Whole Body & Make You Feel Amazing! 31 Weight Loss Lunch Recipes That Will Help Slim Down Your Stomach! 23 Incredible Yoga Instagrams That You Need To Be Following! The Best Of #Snowga Posts On Instagram To Keep You Motivated! These meals look wonderful. I am gluten free and no longer having sugar. 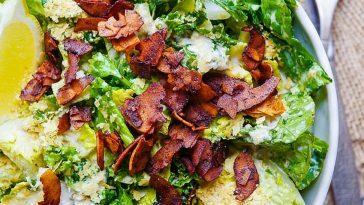 This list is great but just an fun to those new or unfamiliar with Paleo, several of these recipes are not paleo. Rice, quinoa, brown sugar, vegetable oil and cheese are all ingredients that are not paleo. This list would be more aptly called Primal food plan. 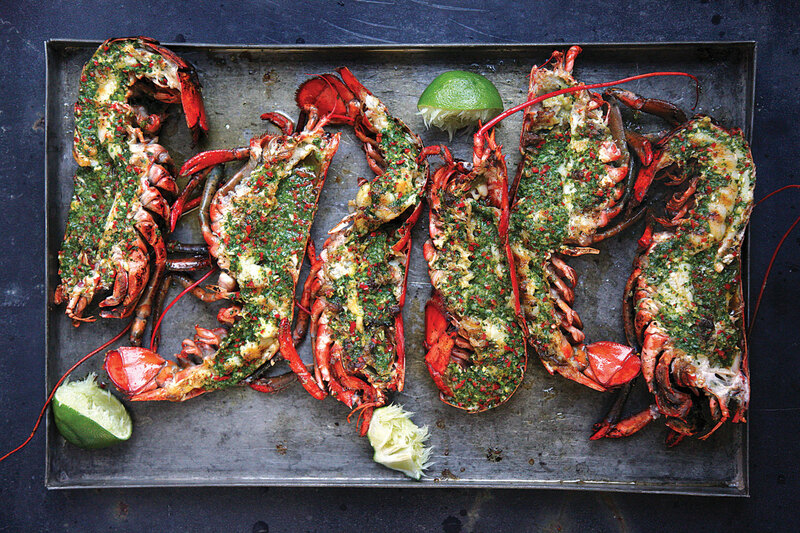 Delicious, yes, but paleo, no. the rice is referring to ricing cauliflower i believe. i use honey instead of brown sugar for anything, sub coconut oil for veg, and only use grass fed cheeses. those fixes should bring it a lot closer to paleo. found them. Sorry about that. They looks absolutely delicious. Looking forward to trying and THANKS for putting this together. I’d love to try this clean eating! Is there a grocery list to go with it? Thank you so much for all of these recipes!